Dream Yacht Charter’s Bahamian base is located on Great Abaco Island at Marsh Harbor, and serves as our gateway to the stellar sailing grounds the islands have to offer. The Abacos chain features five inhabited cays; Walkers Cay, Green Turtle Cay, Great Guanna, Man-O-War, and Elbow Cay. 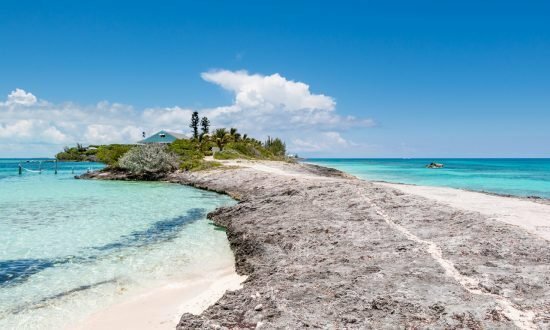 The Abacos chain forms in a boomerang shape that stretches nearly 130 miles – from Walkers Cay in the North to Hole-in-the-Wall in the South. The islands lie roughly 175 miles east of Palm Beach, Florida, and 106 miles north of Nassau. This Bahamian getaway has a barrier of outer cays and islands, which create naturally protected waters often called the Sea of Abaco. There you’ll find shallow, easy-to-sail waters in shimmering shades of blue: exactly what you expect from a Dream Yacht Charter vacation. No illegal drugs are tolerated in the Bahamas. Consulate of Austria in Nassau, Consulate of Barbados in Nassau, Honorary Consulate of Belgium in Nassau, Consulate of Belize in Nassau, Brazil in Nassau, Canada in Nassau, Chinese Embassy in Nassau, Consulate of Costa Rica in Nassau, Embassy of Cuba in Nassau, Royal Danish Consulate in Nassau, Dominican Republic Consulate in Nassau, Honorary Consulate of Finland in Nassau, Honorary Consulate General of Germany in Nassau , Honorary Consulate of Greece in Nassau , Embassy of Haiti in Bahamas in Nassau, Icelandic Consulate in Nassau, Honorary Consulate of Indonesia in Nassau, Honorary Consulate of Italy in Nassau, Jamaican Consulate in Nassau, Honorary Consulate of Malta in Nassau, Consulate of Netherlands in Nassau, Royal Norwegian. Consulate in Nassau , Consulate for the Republic of Peru in Nassau, Honorary Consulate of the Republic of Poland in Nassau, Consulate of Sierra Leone in Nassau, New Providence, Honorary Consulate of Sweden in Nassau, Consulate of Switzerland in Nassau, U.S. Embassy in Nassau, Consulate of Uruguay in Nassau. Day 1: Elbow Cay is the most well-known of the small colonial townships on the outer cays, since its famous 130-year-old lighthouse is visible for miles. Moorings can be reserved from Hope Town Marina, Captain Jack, or Harbors Edge. You can also come alongside Hope Town Marina or Lighthouse Marina to find, fuel, water, ice, and marina services. Great restaurants & bars can be accessed by dinghy – Cap’n Jack’s, Harbour’s Edge, and Hope Town Marina are your options. There are food markets, boutiques, and of course, the local dive shop. You can also visit the small but informative museum, then eat at one of the many restaurants that surround the harbor. If you’re having lunch at the Hope Town Harbor Lodge beachside pool and restaurant, you can snorkel off their beach before or after your meal. Day 2: About three miles south from the entrance to Hope Town in the White Sound, the Abaco Inn sits with its small stern-to docks. This is one of your best bets for dining out in Abaco. If those docks are full, check the nearby Sea Spray Marina – where you can also find fuel, ice, and water. They also have a small informal restaurant at the marina. The navigable waters of White Sound are dredged and narrow, so there are no moorings available and anchoring is not possible. 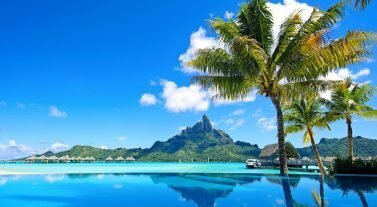 Day 3: Tahiti Beach is a pleasant little lagoon anchorage with white sand beach and a grove of coconut palm trees protected from most winds except northerlies. Approximately two thirds of the way going south, you can anchor in the lee of Tilloo Cay just north of the Tilloo Bank. This is an open roadstead anchorage and therefore is exposed to all winds, especially westerly. It’s also a deserted island to explore, along with the wild shores on the east side. From Tilloo Cay, you can dinghy over to Cracker P’s restaurant & bar, where they serve lunch and dinner. Day 4: A daytime anchorage can be found on the west side of this Sandy Cay. This will provide dinghy access to the reefs on the east side of the cay, which is part of the Pelican Cays Sea Park. All coral and sea life is protected here. There are some small moorings for you to tie the dinghy to when diving or snorkeling on the reefs. This is a very beautiful underwater area but you should be experienced at this game as the area can be exposed to Atlantic weather at times and also has crosscurrents sometimes from the nearby North Bar Channel. Day 5: Little Harbour is protected from all points. Moorings are available from Pete’s Pub, or you can anchor. At mean low water there is only 3.5ft across the bar. If you arrive too early to carry your draft, you can anchor on the west side of Tom Curry’s Point and await the rise of the tide. If you need to, you can spend the night at anchor here. This anchorage is relatively well sheltered from most winds. Day 6: The historical township at Man-O-War Cay offers marina berths, moorings as well as anchorage sites. Man-O-War Marina is the best contact for berths and moorings. They are located right on the town’s harbor, but they can also be reserved for you in the Eastern Harbor (sometimes known as American Harbor). You cannot anchor in the main harbor due to the amount of congestion and private moorings already there. Day 7: Great Guana Cay has docking facilities in the bay facing southwest at the Grabbers Resort‘s small marina. With north and easterly winds, you can anchor in the bay, but do use two anchors, as the holding is soft and grassy. The bay tends to be exposed to any other winds and quickly becomes uncomfortable. If you use this anchorage, please leave room and be considerate of the small resident fishing boats that use moorings here. The better anchorage is just to the north of the resort anchoring behind Delia’s Cay. Here you have easy dinghy access to the Resort’s northern side jetty. Although the holding is better than in the settlement’s bay to the south, it is still advisable to use both your anchors here too. This cay also has a white sand beach stretching for 7 miles. Day 1: Boarding at 5.30, and a night at the dock. Day 2: After a technical briefing and chart briefing, you’re free to sail away. You will gently cruise toward Great Guana Cay where you will drop anchor off a lovely cay in Fishers Bay. 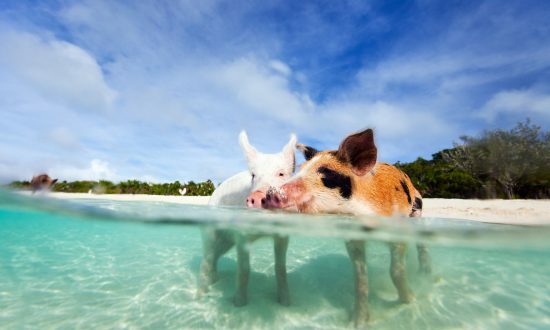 Great Guana is the home of the world famous Nippers Bar with its equally famous Sunday hog roast. Set with a back drop of a beautiful Atlantic long white beach Great Guana Cay is perfect for taking long walks on white sand beaches – like shots that grace the pages of glossy travel magazines. Beach combing, snorkeling, diving or just walking along the beach – there is something for everyone. Day 3: Just after breakfast, set sail for Treasure Cay, which is listed in National Geographic’s “Top 10 Beaches in the World.” The sand is incredible. It also has every convenience one could desire including excellent bars and restaurants as well as tennis, golf, swimming and a few shops. Day 4: In the morning you will set sail for Man of War. Man of War is a sleepy, but prosperous and beautifully maintained settlement. The Albury family, famous for their Bahamian work boats, continue to build both small and larger vessels in the town. Snorkeling can be found on the ocean side of the island. Day 5: Because you rent a shallow draft catamarans you are able to step off the boat and wade through crystal blue waters onto Tahiti Beach. The crystal clear waters are shallow and the sand is very soft – is there a better way to get to such a beautiful beach? After lunch, you will sail up to Hope Town, which is one of the most picturesque harbors in the Bahamas. Hope Town is a charming settlement with a wide selection of shops, restaurants historic museums and homes. Day 6: Get up early so you can sail down to the South of Abaco to find your own secluded island. Spend the day laying on the beach or snorkeling the reefs with its abundance of sea life or going down deeper for those who want to dive. There’s nothing like having an island all to yourself. Spend your early evening drinking cocktails while watching the sunset in Little Harbour. Day 7: After a delicious breakfast, head back toward Marsh Harbour stopping at Matt Lowes Cay. You enjoy a last swimming in the Sea of Abaco before heading back to our marina for dinner and then perhaps celebrating our fantastic week with the local people whilst listening to local bands nearby. Day 8: Marsh Harbour – Disembarkation for 11.00am. Day 1: Marsh Harbor – Boarding at 5:30pm and night at the dock. Day 2: Technical briefing, chart briefing starting at 08:00am and soon you’re free to start sailing. 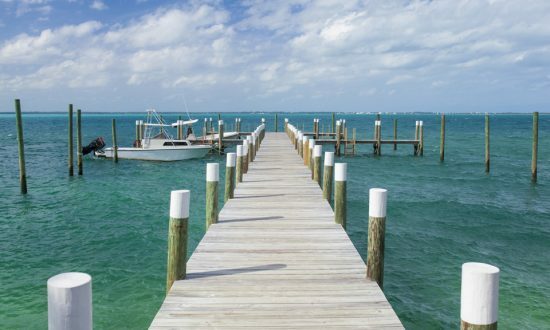 You will gently cruise toward Great Guana Cay where you will drop anchor off a lovely cay in Fishers Bay. Great Guana is the home of the world famous Nippers Bar with its equally famous Sunday hog roast. 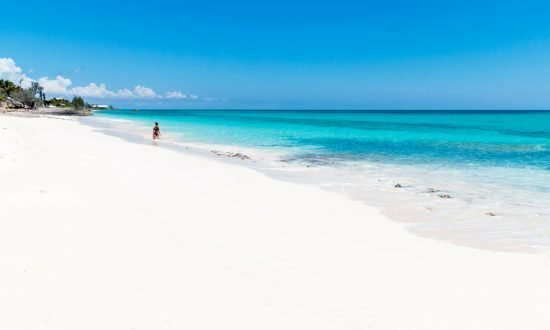 Set with a back drop of a beautiful Atlantic long white beach Great Guana Cay is perfect for taking long walks and those iconic white sand beach shots that grace the pages of glossy travel magazines. Beach combing, snorkeling, diving (with extra charge) or just walking along the beach – there is something for everyone. Day 3: Early departure for the Abaco North part and Spanish Cay. You will sail through your playing area for the next couple of days . Arrival during the afternoon at the marina and after up to you to visit one or all of the three beaches. You just have to leave your boat and enjoy this paradise island with Abaco sea or Atlantic view depend of your location. For your evening the beautiful sunsets are free. Day 4: In the morning you will set sail to Green Turtle Cay. Visit the island by foot or bicycle and you will have the possibility to visit the local museum, the Environmental Center. Or simply walking The Memorial Sculpture Garden which features bronze busts of people who have played important roles in Bahamian history. For those more interested by sport, diving is also possible. Or simply enjoy one of the excellent restaurants. Day 5: Just after breakfast, you will set off to Treasure Cay which is listed in National Geographic’s Top 10 beaches in the World! The sand is incredible. It also has every convenience one could desire including excellent bars and restaurants as well as tennis, golf, swimming and a few shops. Day 6: In the morning you will set sail for Man of War. Man of War is a sleepy, but prosperous and beautifully maintained settlement. The Albury family, famous for their Bahamian work boats, continue to build both small and larger vessels in the town. Snorkeling can be found on the ocean side of the island. Day 7: Because you rent a shallow draft catamarans you are able to step off the boat and wade through crystal blue waters onto Tahiti Beach. The crystal clear waters are shallow and the sand is very soft – is there a better way to get to such a beautiful beach? After lunch, you will sail up to Hope Town, which is one of the most picturesque harbors in the Bahamas. Dominating the town is the well-photographed red and white striped lighthouse, which is one of only three kerosene lighted, manned lighthouses in the world and still in use by sailors in the Bahamas. It also provides amazing panoramic views of your cruising grounds. Hope Town is a charming settlement with a wide selection of shops, restaurants historic museums and homes. Day 8: Get up early so you can sail down to the South of Abaco to find your own secluded island. Spend the day laying on the beach or snorkeling the reefs with its abundance of sea life or going down deeper for those who want to dive (with extra charge). There is nothing like having an island all to yourself. Spend your early evening drinking cocktails whilst watching the sunset in Little Harbour. Day 9: A delicious breakfast and you will head back toward Marsh Harbour stopping at Matt Lowes Cay. You enjoy a last swimming in the Sea of Abaco before heading back to our marina for dinner and then perhaps celebrating our fantastic week with the local people whilst listening to local bands nearby. Day 10: Marsh Harbour – Disembarkation for 11.00am. International flights from main cities in Europe are available daily with a stopover in Nassau. Direct flights to Marsh Harbor are available from United States (Miami, Fort Lauderdale and West Palm Beach). Between the airport and the base it is a 10 minutes ride by taxi. Dream Yacht can organize transfer, feel free to contact us for more details and price (transfer mandatory for an arrival after 5pm). Sanitary facilities are available in the marina (3 showers and toilets, laundry service, swimming pool, barbecue area etc.). You will find also close to the marina: restaurants, pubs, food store, liquor store, etc. 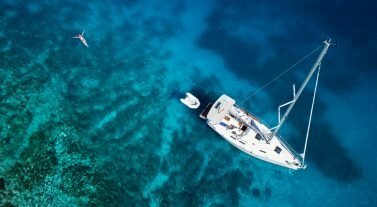 You have also a complimentary WIFI access in the marina, during your trip use the service of Bahamas WiMAX or most of the marina are equipped with WIFI access. If you want, Dream Yacht can managed the provisioning for you: at your arrival all the provisioning will be waiting on board your yacht. You just have to fill and return the provisioning order list (for the food, beverages and alcohol) available on the website. Major food store are open daily up to 7pm except the Sunday 4pm. Visa and MasterCard can be used in most places (don’t forget to inform your bank of your travel to have your card unlock if necessary). You should take some cash with you as the cash point are not easily available during your cruise. The local currency is the Bahamian dollar, the US dollar is also accepted. You can change your Euro, Pounds at the bank but it’s not so easy. The Bahamian dollar is trade at parity with the US dollar. Roaming is available in Bahamas, just check before your departure with your local mobile phone provider the activation of the international option and the price of the communication. You can also buy a local SIM card. Space is quite limited on board, so plan to use soft luggage. In case of medical emergency Government clinic are open day and night. Private Doctors are also available on call. At the sea, contact by VHF channel 16, BASRA (Bahamas Air Sea Rescue Association).